ASTM D1002 is commonly performed to measure the shear strength of adhesives that are used to bond metals. 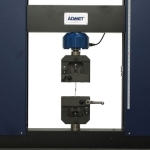 This test is similar to ASTM D3163 which is for adhesives that bond rigid plastic substrates, and also ASTM D3164 which is for plastic adhesives that are used to bond both plastic and metal substrates. 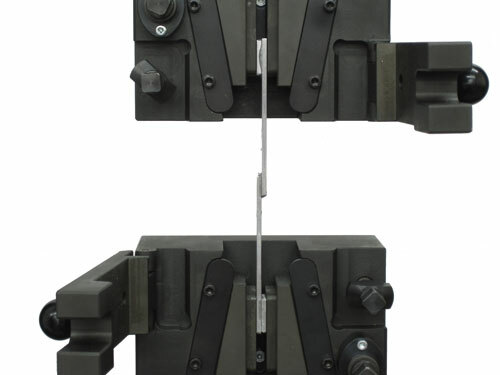 All three of these specifications use a single lap joint (lap shear) specimen to determine the shear strength of adhesives. Prior to conducting ASTM D1002, it is important to read the entire specification in the relevant ASTM publication. 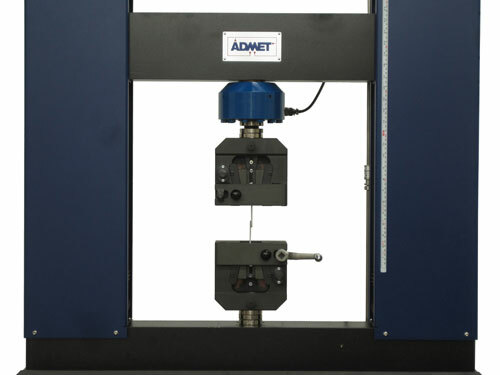 To perform ASTM D1002, first measure the amount of shear area in square inches or square millimeters. This will be used to calculate the speed of test and convert the force reading into a stress reading. Load each end of the specimen into tensile grips. 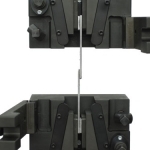 Apply a force at a controlled rate to the specimen until it breaks and record the maximum force and type of joint failure. 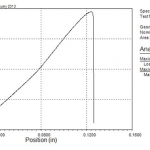 ASTM D1002 specifies a load control rate found in the test standard. A cross head control rate that approximates the loading rate and also is an acceptable mode of control. Just have a quick question about running ASTM D1002 on your system?